NZSD contemporary dance students Chris Clegg, Laifa Ta'ala and Braedyn Humphries. Photo by Stephen A'Court. 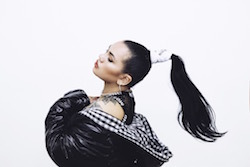 Parris Goebel. Photo by Evan Xiao. New Zealand-born choreographer Parris Goebel is the official ambassador for WORLD VISION 40 hour famine. She is currently in Uganda visiting refugee settlements and seeing the challenges they face daily. Goebel is asking people to join her in the 40 hour famine movement by donating any amount to her World Vision page. All money raised goes to giving refugee families food, fresh clean water, kick start packages, a plot of land to start a new home and more. To make a donation, click here. 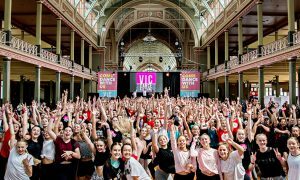 The New Zealand School of Dance (NZSD) continues to take part in a number of exciting performance opportunities involving its students. 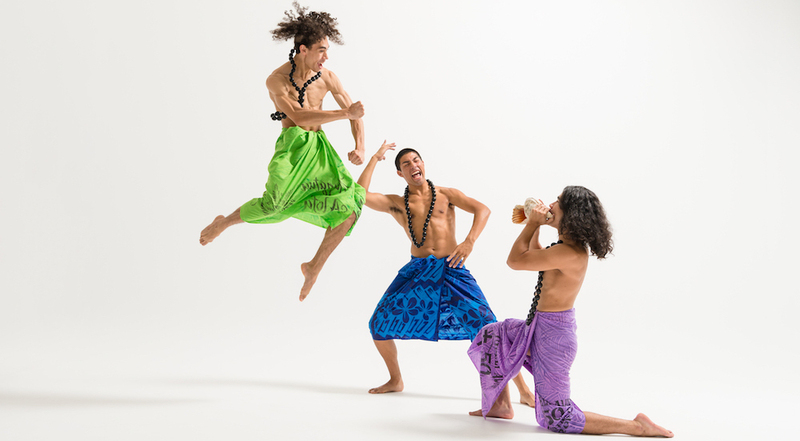 Three male contemporary dance students will be travelling to Auckland to take part in the Pacific Dance Festival (12 – 15 June), performing a powerful 12-minute work created by NZSD tutor Victoria Colombus. 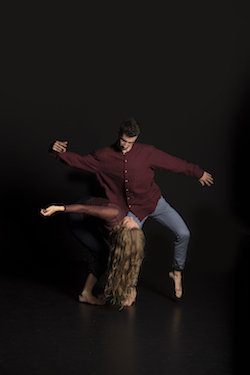 The School will also be sending selected contemporary dance students to perform a duo piece at the Lighthouse Dance Project in Sydney (14 – 15 June). Director of NZSD Garry Trinder recently was part of the international jury at the Youth America Grand Prix in New York. NZSD offered two full time scholarships to Isaac Mueller (USA) and Lorenzo Collatuzzo (Italy). Short term tuition scholarships have been offered to Noah Benzie-Drayton and Tyler Lindsay, both from Perth School of Ballet in Australia. The New Zealand Dance Company (NZDC) is going on tour. Direct from Paris and Liverpool, NZDC is bringing its most sought after and celebrated programme, Lumina, across Aoteora with stops in Hamilton, Christchurch, Nelson and Auckland from 4 – 23 May. 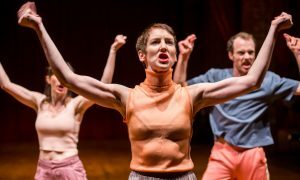 Artistic Director Shona McCullagh tasked the three dynamic creative teams led by choreographers Malia Johnston, Louise Potiki Bryant and Stephen Shropshire alongside their AV, lighting and sound collaborators, with creating a world where light was the connective force of the programme. Lumina is a rich world “presenting a veritable explosion of fantastically illuminated spaces, images and superbly performed contemporary dance.” (NZ Herald) Book your tickets now to Lumina, an intersection of contemporary light, movement and sound. Veronika Part. 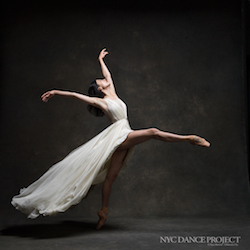 Photo by NYC Dance Project. 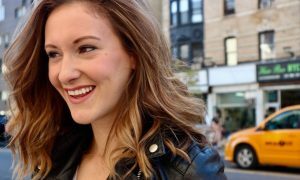 The Royal New Zealand Ballet (RNZB) welcomes former American Ballet Theatre (ABT) star Veronika Part to its studios, to begin rehearsals for Dancing with Mozart, which opens May 31. Part hails from St Petersburg, Russia, and began her career at the Kirov Ballet (now Mariinsky Ballet), where she danced many roles by fellow Kirov alumnus George Balanchine. Following in the great Russian-American choreographer’s footsteps, Part moved to New York in 2002, beginning a stellar 15-year career with ABT. Dancing with Mozart opens May 31 in Wellington, and travels to Christchurch, Invercargill, Dunedin, Blenheim, Palmerston North, Napier and Auckland, and will be performed with live orchestra in Wellington, Christchurch and Auckland. For tickets, visit rnzb.org.nz/shows/dancing-with-mozart. Footnote New Zealand Dance’s first major tour of the year will be with Search Engine, a new short works season. In May, the company will travel the length of New Zealand to bring this triple-bill to audiences across the country. Scheduled to hit 12 centres, Search Engine is choreographed by Lauren Langlois, Rose Philpott and Tupua Tigafua, who are being mentored by Chris Jannides. Each choreographer has a distinct voice in this season, and the three individual works have wildly different ways of looking at the way we seek connections in our rapidly changing environment. Bringing together the three works of Search Engine is lighting and AV designer Charley Draper, who is creating a striking and playful projected world that will absorb the audience and punctuate the physicality of the dancers. The set is designed to create an intimate environment wherever it is placed, which means that this season will be performed in community halls, outdoor spaces and other non-traditional theatre environments. The audience will surround the stage and be close enough to feel the energy of the five Footnote company members Georgia Beechey-Gradwell, Tyler Carney, Joshua Faleatua, Anu Khapung and Adam Naughton. Sound designs by Jesse Austin-Stewart, Harry Benson-Rae and Jimi Wilson will integrate the movement and light. For tickets and more information on Search Engine, click here. 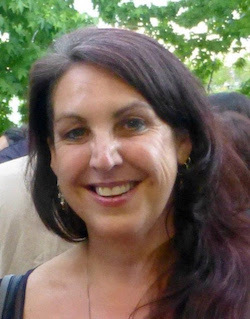 Marama Tracey Lloydd has been appointed Executive Director of Atamira Dance Company, after Moss Patterson led the company since 2010. Lloydd, of Ngati Kahu and Te Rarawa descent, is an experienced Arts Manager and joins the company after being a core member of the Auckland Arts Festival Programme Team for the last five festivals. She has a depth of knowledge in the Māori contemporary dance sector, starting her career in training with Te Kanikani o Te Rangatahi, then becoming an original company member of Taiao Dance Theatre.